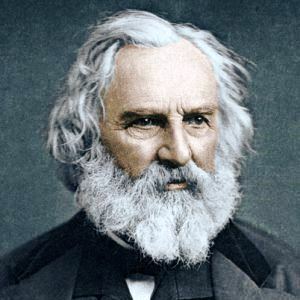 Henry Wadsworth Longfellow (27 February 1807 – 24 March 1882), could create characters that would seem real to his readers. For Acadians who were deported (see Deportation of the Acadians), Longfellow’s fictional Évangéline, the heroine of an epic poem he published in 1847, is real. She spent years seeking Gabriel, her fiancé. When she found him, he was one of the dying she was attending to as a Sister of Mercy. Longfellow gave Acadians a heroic past that elevated them. Longfellow’s Song of Hiawatha would not return their homes to North-American Indians, but it would mythicize them by giving them the obligatory glorious past in the person of Hiawatha, a Noble Savage. The plight of Amerindians was greater than that of Acadians. The Removal Act of 1830 and the Cherokee Removal Act of 1838 deprived a large number of North America’s aboriginals of a territory that had been theirs since time immemorial. However, at that time in history, disciplines such as folkloristics and ethnology were emerging. As we have seen in earlier posts, the Brothers Grimm were folklorists. The two brothers scoured German-language lands collecting folklore in the hope that tales would yield a unifying identity to scattered German-speaking Europeans. As for Longfellow, his Song of Hiawatha would use Amerindian tales told to the rhythm of the trochaic meter of the Finnish Kalevala (see Trochaic tetrameter, Wikipedia), but he could not return to Amerindians the territory that was taken from them. Amerindians had been dispossessed and relocated. He could however ennoble America’s crushed aboriginals. To a large extent, Hiawatha is yet another chapter in the history of the Noble Savage which, according to Stith Thompson, finds its beginning in the Jesuit Relations, the yearly report Jesuit missionaries to New France sent to their superiors in France. The Jesuits (Thompson: 297-298) recorded the tales told by the Amerindians and, by the same token, were witnesses to what I will call ‘natural virtue,’ virtue that was not related to Catholicism and Christianity. 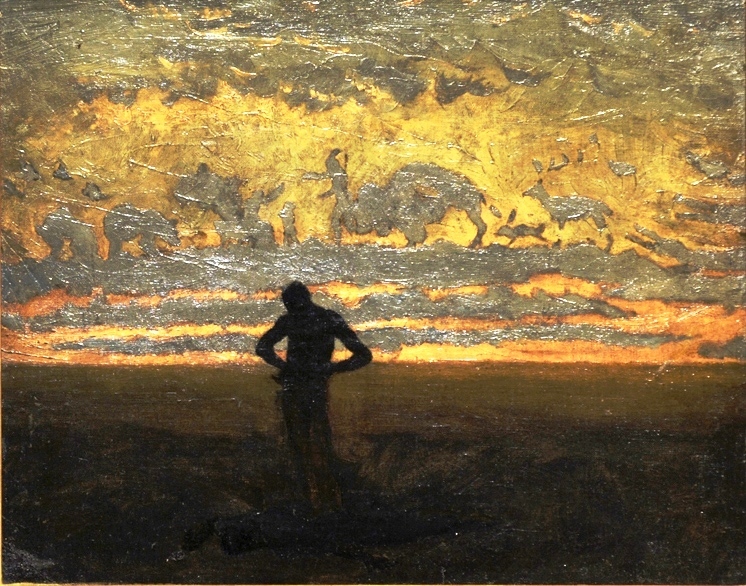 One of our colleagues, Françoise Duhamel, wrote a comment associating the Noble Savage to Romanticism. French Romantic author François René, vicomte de Chateaubriand wrote Atala (1801), René (1802), Les Natchez (1790s) Voyage en Amérique (1826), thus invigorating the concept of the Noble Savage. Chateaubriand travelled to the United States in 1791. As an aristocrat, he was forced to leave France during the French Revolution. He was an émigré. The Song of Hiawatha did elevate Amerindians. However, Native Americans also became a subject matter in emerging disciplines such as folkloristics and ethnology. In this regard, Longfellow’s main source would be Henry Rowe Schoolcraft, an Indian agent for the American government and an ethnologist. 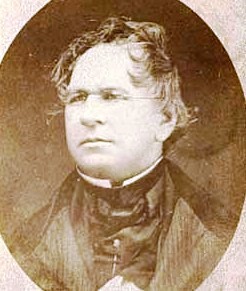 In 1846, eight years after the Cherokee Removal Act, Henry Rowe Schoolcraft “was commissioned for a major study, known as Indian Tribes of the United States, which was published in six volumes from 1851 to 1857.” (See Henry Schoolcraft, Wikipedia.) Britannica refers to two volumes. Henry Schoolcraft had been married to Jane Johnston (1800 – 1842), the “mixed race daughter of a prominent Scotch-Irish fur trader and Ojibwa mother, who was the daughter of a war chief.” (See Henry Rowe Schoolcraft, Wikipedia). She had taught her husband Ojibwa. Jane Johnston is the first American Indian writer. Longfellow also drew his subject matter from the Narratives of John Heckewelder (12 March 1743 – 21 January 1823), a missionary to the Indians, from Ojibwe Chief Kahge-ga-gah-bowh “during his visits at the author’s,” and from “Black Hawk and other Sac [Sauk] and Fox Indians Longfellow encountered on Boston Common.” (See The Song of Hiawatha, Wikipedia.) Hiawatha is an Ojibwa and there can be no doubt that Longfellow knew Amerindian tales. One need only read North American Indian Fairy Tales, Folklore and Legends (Amazon), illustrated by R. C. Armour and published in 1905. Would that this book were online! It may be, but I have not found it. 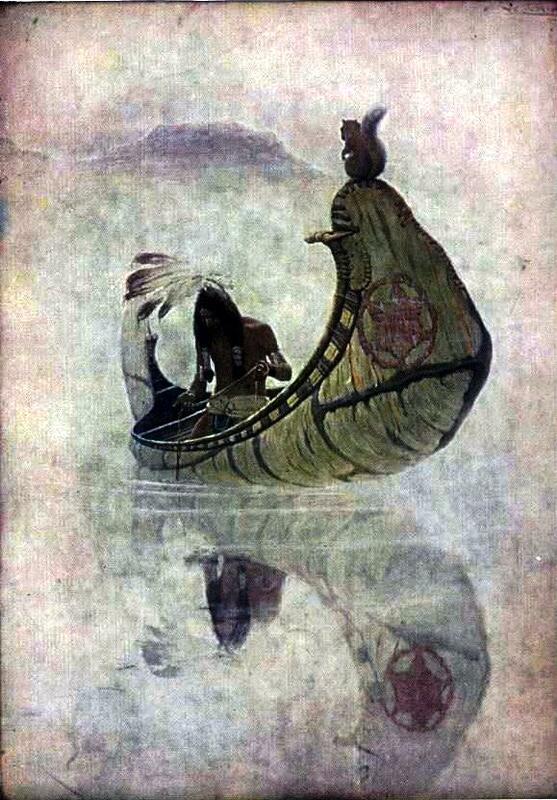 R. C. Armour’s book features Mudjikewis, Hiawatha’s father in The Song of Hiawatha, the mischievous Paupukkewis (p. 15) whose name is Pau-Puk-Keewis in Longfellow’s Song of Hiawatha. More importantly, the book R. C. Armour illustrated, tells the adventures of Manabozho. For instance, Manabozho is swallowed whole by the king-fish, a sturgeon named Nahma. So is Hiawatha. After giving a name—Ajidanneo (animal tail)—to a squirrel that has entered the fish, depicted in the image at the top of this post, Manabozho-Hiawatha “recommenced his attack of the king-fish’s heart, and by repeated blows he at last succeeded in killing him.” (p. 71) Gulls, whom he calls “my younger brothers” helped open the mouth of the sturgeon to free Hiawatha. As we have seen, for North-American Indians, there is no difference between humans and animals, hence the “my younger brothers” referring to the gulls. Manabozho names the gulls Kayoshk, a word meaning “noble scratchers” (p. 71). Moreover, Manabozho “made the land” (p. 11), in which he would be a creator. 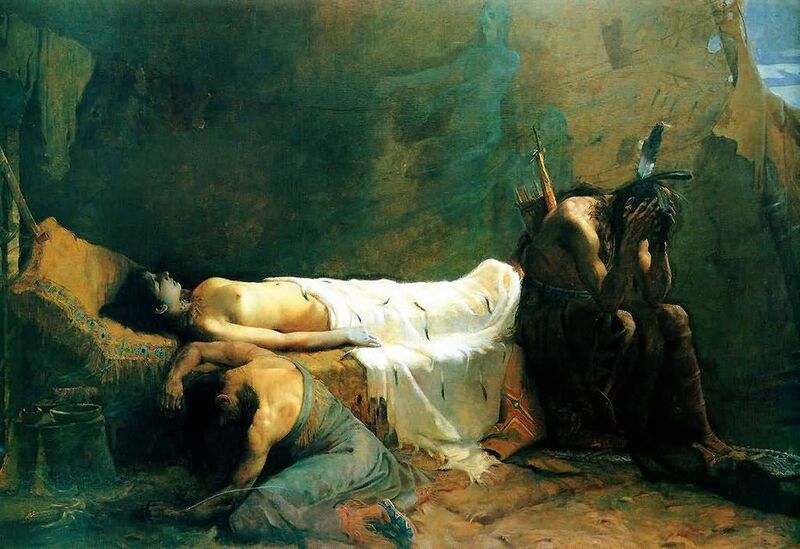 The killing of Nahma is one of Hiawatha’s legendary deeds (geste, in chanson de geste). Two other legendary deeds are the killing of Mondamin, the Corn Spirit (canto v), and that of Pearl-Feather, the sender of death (canto viii). So is, to a lesser extent, the killing of Pau-Puk-Keewis (canto xiv). Were The Song of Hiawatha a fairy tale, it would end with the marriage of Hiawatha and Minnehaha. Moreover, the wedding-feast is followed by cantos that are looked upon as idyllic. However, Hiawatha will lose his friends Chibiabos, the musician (canto xv) and Kwasind (canto xviii). We know moreover that the white man is arriving. Finally, having lost the beautiful Winnehaha, Hiawatha will walk into the sunset to go and rule the kingdom of the Northwest. I am inserting a video, a lovely reading of the Pau-Puk-Keewis episode, and will then close because this post is already very long and my computer has slowed down. Hiawatha was made into three Cantatas by Samuel Coleridge Taylor. This is not the music we will hear. The text and music we will hear is the Hiawatha Melodrama, based on Antonín Dvořák‘s Ninth Symphony: “From the New World,” Op. 95, B. 178. In short, Longfellow’s Song of Hiawatha is a product of its times. It partakes of the intellectual endeavours of folklorists and ethnologists. Next, we will hear that Hiawatha is Manabozho. These were still the early years of ethnology! We should also tell more about Osseo (canto xii). Antti Aarne would publish his first index of folk-literature: Verzeichnis der Märchentypen, in 1910. Stith Thompson would continue Aarne’s work and publish his six-volume Motif-Index of Folk-Literature (1955-1958). It is an online publication. Stith Thompson, The Folktale (Berkeley, Los Angeles, London: The University of California Press, 1977 ), pp. 297-298. “Henry Wadsworth Longfellow”. Encyclopædia Britannica. Encyclopædia Britannica Online. Ojibwa are also called Ojibwe or Chippewa. R. C. Armour, illustrator, North-American Indian Fairy Tales, Folklore, and Legends (London: Gibbons & Co. and Philadelphia: Co. J. B. Lippincott, 1905). Kessinger Legacy Reprints. This post’s main feature could be the above depiction, by Wilhelm Lamprecht (1838-1906), of Father Jacques Marquette or Père Marquette, S.J. pointing to the Mississippi River, surrounded by Métis or Amerindians. I have used this painting in one of two posts on The Jesuit Relations, a yearly account, by Jesuit missionaries, of events in New France. In these posts, I indicated that the Jesuit Relations were the birthplace of the Noble Savage. In the Jesuit Relations and in the accounts of other missionaries, the Amerindian is often described as morally superior to Europeans and, especially, to the Huguenots (French Calvinist Protestants) inhabiting New France: Canada and Acadie. Therefore, before we discuss the nineteenth-century sentimentalist portrait of the Noble Savage or bon sauvage, we should remember the missionaries to New France: the Récollets, and the Jesuits. 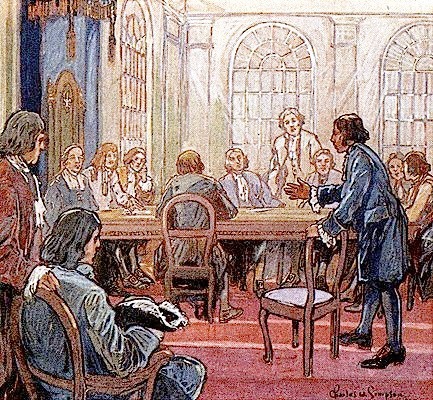 The Récollets were the first missionaries to travel to New France. Brother Gabriel Sagard (fl. 1614–1636) arrived in New France 28 June 1623 and was sent to accompany Father Viel. They traveled to Lake Huron to join Récollets who had come to New France in 1615. Sagard wrote Le grand voyage au pays des Hurons (Paris, 1632), an Histoire du Canada (1636), in which Le grand voyage is retold, and a Dictionary of the Huron Language. John Norton (Teyoninhokarawen) (b.c. 1760s Scotland (? )- d.after 1826, likely born and educated in Scotland, had a Scottish mother and a father who was born Cherokee in Tennessee, but raised from boyhood with the English. John Norton was adopted as Mohawk. He distinguished himself as the leader of Iroquois warriors who faught on behalf of Great Britain against the United States in the War of 1812. Commissioned as a major, he was the military leader of warriors from the Six Nations of the Grand River who faught against American invaders at Queenston Heights, Stoney Creek, and Chippawa. 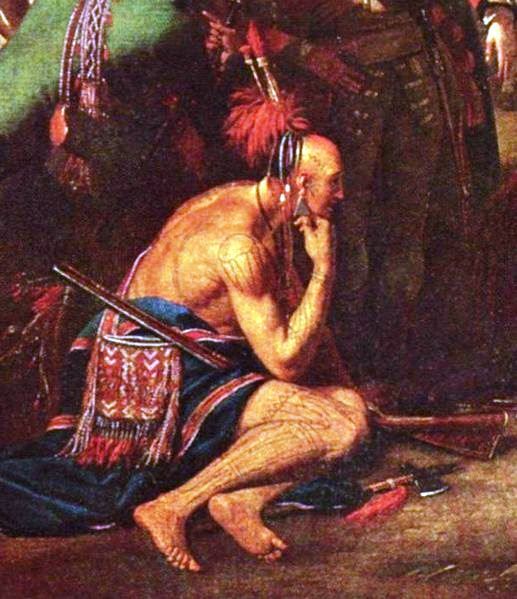 As we know, “savages” were not always “noble savages.” The Iroquois tribes (SENECA, CAYUGA, ONEIDA, ONONDAGA and MOHAWK) were enemies of French-speaking settlers. I should note therefore that the five Amerindians who took Jolliet and Marquette down the Mississippi were bons sauvages. In fact, they were French Amerindians, or Métis. So it would appear that métissage occurred from the earliest days of New France and that it may have occurred because Amerindians were bons sauvages. They were the voyageur‘s guides. How would the voyageurs have succeeded in their mission had the Amerindians not been “Noble Savages” who actually prepared their food: sagamité? Such were the Amerindians Jacques Marquette and Gabriel Sagard attempted to convert to Roman Catholicism. Métissage itself provides proof of affinities not only between Canadiens and Amerindians, but also between British settlers and Amerindians. Although métissage was less frequent between the British and Amerindians, it happened. John Norton, a Métis born in Scotland to an Amerindian father, a Cherokee, and a Scottish mother became a Mohawk Chief. In the accounts of missionaries, the Amerindian is not always a bon sauvage. On the contrary. Amerindians tortured and killed several missionaries, but missionaries were sometimes filled with doubts concerning their role. Converting Amerindians could become a moral dilemma. Why convert a people whose behavior was different, but morally acceptable? The ambivalence of missionaries towards Amerindians and that of Amerindians towards the missionaries is central to Black Robe, a film mentioned below. I admire the many “Black Robes” who learned Amerindian languages or otherwise expressed true devotion towards members of their little flock. 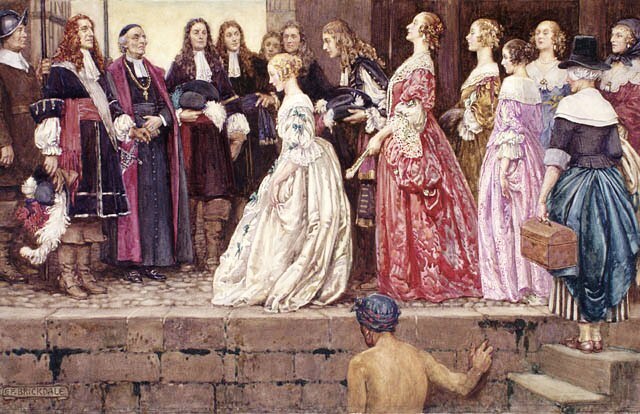 I also admire such men as François de Laval (30 April 1623 – 6 May 1708), the first Roman Catholic bishop of Quebec and a member of the distinguished Montmorency family, who threatened to excommunicate and probably did excommunicate French fur-traders who gave alcohol to Amerindians in exchange for precious pelts. One may read The Jesuit Relations Online (just click on the title). 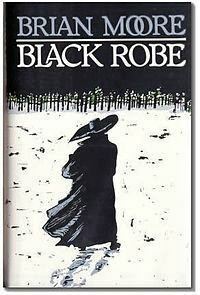 Black Robe, a novel and a film, was discussed by one of my WordPress colleagues. But I cannot find the relevant blog. Black Robe is a 1991 film directed by Australian Bruce Beresford. The screenplay was written by Irish-Canadian author Brian Moore, who adapted it from his novel of the same name. The film stars Lothaire Bluteau and can be watched online. It was produced by an Autralian team and a Canadian team and filmed in Quebec. I used to show it to my students. Below is part of the film. It is not the video I used previously. It featured French composer Georges Delerue (12 March 1925 – 20 March 1992) and it was exquisite, but it was removed. From the story of Madeleine de Verchères, we know that among Amerindians, there were “Noble Savages” and “Savages” who were not so noble. We know moreover that Madeleine’s father was a member of the Carignan-Salières Regiment. However, the story of Madeleine de Verchères has not told us about the Carignan-Salières Regiment itself, whose members started to protect New France in 1665. Nor has it told us that, during the 1660s, France sent women to Canada. This matter was discussed in a post entitled Richelieu & Nouvelle-France, but is again relevant. We therefore require more information. [i]n 1663 Louis XIV equipped the colony with a complete administrative system modelled on those used to govern French provinces. However, hostile Amerindians, the Iroquois, were threathening the life of settlers. Attacks, such as the attack that would make Madeleine de Verchères a heroine in 1692, were becoming a genuine obstacle to the growth of the colony. How would the Filles du Roy and their husbands survive? The remedy consisted in the deployment of the Carignan-Salières Regiment. Jean-Baptiste Colbert, Louis XIV’s finance minister and chief member of the Conseil d’en haut[ii] suggested that a mere 100 soldiers be sent to Canada, but Louis was of a different mind. 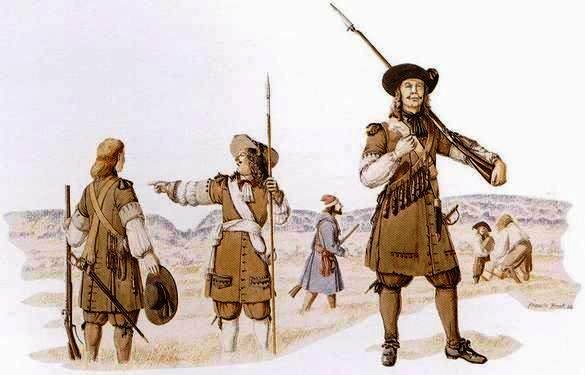 In June 1665, some 1100 men, perhaps more, were sent to New France. Twenty companies left from France and four, from Martinique. This was a formal merger. They would serve under Daniel de Rémy de Courcelle, Sieur de Montigny, de La Fresnaye et de Courcelle (1626 – October 24, 1698) who was governor of New France from 1665 to 1672. It would also serve under Lieutenant General Alexandre de Prouville, Marquis de Tracy (1596 or 1603–1670) a military man who had driven the Dutch out of the West Indies in 1664. By November 1665, forts had been built along the Richelieu River, considered as the main invasion route. The French and Canadiens attacked the Mohawk Country in February 1666. Men were ambushed and the expedition had to retreat losing some 60 men on its return journey to Quebec City. It was midwinter, which seriously jeopardized the success of military operations. The Iroquois were defeated, but a defeated Iroquois may well be a more dangerous enemy than a victorious one. [ii] The king’s Council were called “d’en haut,” because they lived upstairs at the king’s castle. My next post is a continuation of the Noble Savage, but I will pause briefly and deal with not-so-noble Amerindians by telling the story of Madeleine de Verchères[i] (March 3, 1678 – August 8, 1747). Given the discrepancies between versions of this story, it is somewhat difficult, but not impossible, to tell. In 1691, the Iroquois, the most ferocious among Amerindians and allies to the English, grew particularly aggressive. On 22 October 1692, at eight o’clock in the morning, the Iroquois captured about twenty settlers who were working in the fields, as was Madeleine. One caught up with Madeleine who was wearing a scarf around her neck. Madeleine lost her kerchief but she got away. Madeleine was the fourteen-year old daughter of a seigneur. According to one account, she lived in a castle, but it appears she lived in a fort with other settlers, soldiers and cattle. Her father, François Jarret de Verchères[ii] had been a soldier with the Régiment de Carignan-Salières and would have built a fort, not a castle. On the day of the attack, 22 October 1692, only one soldier was at the fort. Madeleine’s mother is described as a 33-year old widow in one account, but according to another account, she and her husband were not at the fort on the infamous day. They had gone to purchase supplies. She then asked the settlers and the soldier to make a huge noise so the Iroquois would be fooled into thinking the fort was well protected and she started firing. She drove the Iroquois away, but they took with them the men they had captured. 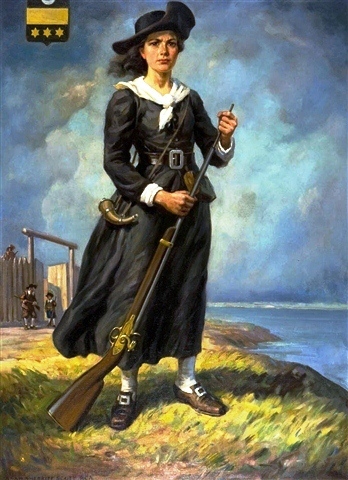 According to Wikipedia, at one point, Madeleine noticed that settlers, the Fontaine family, were in a canoe returning to the fort. The soldier was too afraid to run to the landing dock and lead the Fontaine inside the fort, so Madeleine ran out and took them in. In the Wikipedia entry, it is also reported that, when evening came, the cattle returned. Fearing that Iroquois were behind the cattle, Madeleine and her two brothers went out of the fort, under cover of darkness, to make sure there were no Iroquois dressed as cattle. The cattle had returned on their own and walked into the fort. However, an alternate and merciful account has a different ending. The day after the attack, reinforcement arrived and the settlers were released. Madeleine reported that there were two deaths. [i] André Vachon, “Jarret de Verchères, Madeleine,” Dictionary of Canadian Biography Online. [ii] Céline Dupré, “Jarret de Verchères, Pierre,” Dictionary of Canadian Biography Online. [iii] Grace Lee Nute, “Pierre-Esprit Radisson,” Dictionary of Canadian Biography Online. [iv] Léon Pouliot, “Le Roy de la Potherie, Claude Charles,” Dictionary of Canadian Biography Online. The term “noble savage” was first used by John Dryden (9 August 1631 – 1 May 1700) in The Conquest of Granada (1672) a two-part tragedy. Moreover, playwright Thomas Southerne, the author of Oroonoko (1696), also depicted a noble savage except that his savage, or his man in the state of nature, is an African. Southerne’s play is based on Aphra Behn’s novel about a dignified African prince enslaved in the British colony of Surinam. 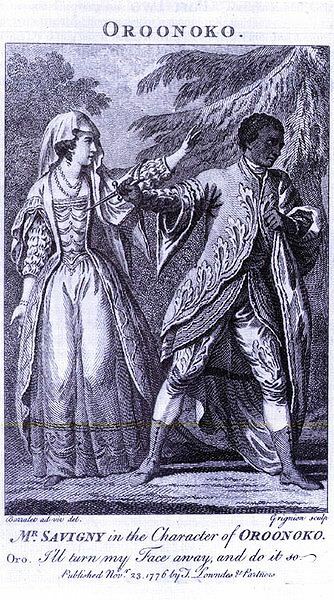 Oroonoko kills Imoinda in a 1776 performance of Thomas Southerne’s Oroonoko. You may recall that, in the fourth entrée or act of Jean-Philippe Rameau‘s (25 September 1683, Dijon – 12 September 1764) Les Indes galantes (The Gallant Indies), Zima, the daughter of an Amerindian chief, rejects her Spanish and French suitors to live with an Amerindian, a Huron, named Adario. Yet, by 1735, Thomas Hobbes (5 April 1588 – 4 December 1679) had written his Leviathan (1651) and, in Chapter XIII, entitled Of the Natural Condition of Mankind Concerning Their Felicity, and Misery, Hobbes had negated the idea that in the state of nature, man was good. But such was not the opinion of the 3rd Earl of Shaftesbury, an English politician and philosopher. Nor was it altogether John Locke‘s view of man in the state of nature, FRS (29 August 1632 – 28 October 1704). Hobbes and John Locke were political philosophers. But it would be useful to take into consideration various travel accounts that inspired writers such as John Dryden. One traveller was the baron de Lahontan[i] who had depicted a noble savage or bon sauvage, a man in the state of nature portrayed not only as good, but as superior to Europeans. Lahontan’s three books, published at The Hague in 1703, were bestsellers and they were translated into various languages. It is therefore entirely possible that by giving the name Adario (The Rat) to the bon sauvage whom Zima chooses as her husband, Jean-Philippe Rameau (25 September 1683, Dijon – 12 September 1764), and his librettist Louis Fuzelier (1672 – 1752) were attesting to the popularity of Lahontan’s three books, the third in particularly. Naming Zima’s bon sauvage Adario cannot be a mere coincidence, even if there were a number of Hurons named Adario. According to Lahontan, there are five areas in which Adario is depicted as morally superior to the French: religion, law, property, medicine and marriage. However, if we look at property, the third area in which Lahontan’s Adario is considered as superior to Europeans, the French in particularly, it is difficult to dismiss the idea that, on the subject of property, Jean-Jacques Rousseau (28 June 1712 – 2 July 1778) was influenced, first, by Lahontan and, second, by Hobbes. Adario tells Lahontan that among Amerindians, there is no “le tien et le mien” (yours and mine). In this respect, there is a significant degree of affinity between Lahontan and Jean-Jacques Rousseau’s Discourse on Inequality (1754). Therefore, the “civil society” in which innate human goodness deteriorates when the innately good individual is no longer isolated or “savage,” would be plain society. Civil society, as it is understood in the Social Contract, is a later development. And savage man, deprived of every kind of enlightenment, experiences only the passions of the latter sort: his desires do not go beyond his physical needs. (Discourse on Inequality, (First Part). God makes all things good; man meddles with them and they become evil. (Émile, Project Gutenberg, Chapter 1). [i] Louis-Armand de Lom d’Arce de Lahontan, Baron de Lahontan (9 June 1666 – prior to 1716), known as Lahontan or le baron de Lahontan published his three books at The Hague in 1703. [ii] The first Discourse, entited the Discourse on the Arts and Sciences was written in 1750 in response to an add that appeared in a 1749 issue of the Mercure de France, a newspaper. It was a prize competition sponsored by the Academy of Dijon and the subject to be discussed was the following question: “Has the restoration of the sciences and the arts contributed to refining moral character?” Rousseau won first prize in the competition.